Q: What is considered a limo? A: According to the State of Michigan, a limo is any vehicle that transports passengers. At this time, we offer luxury sedan limos. We do not have stretch limos. Q: Which payment options do we offer? A: PayPal is the most convenient option for customers. Also you can pay over the phone, or after the transportation is complete (Please see next question). Q: Do you require customers to pay in advance? A: No. However, you may pay in advance if you wish. Q: What is the minimum you charge? 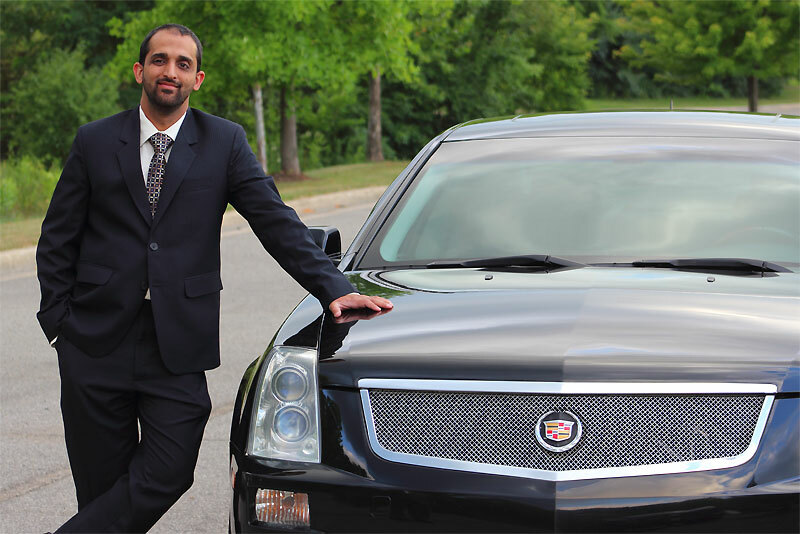 A: We are a limo transportation service. Therefore, our minimum charge is $25. Q: What is the Ann Arbor city limits for the flat rate prices? A: $49 flat rate applies for drop-off or pick-up locations, if within the borders of US-23, M-14 and I-94. If outside the borders, extra charges may apply. A: We are open 24 hours. *Please note that 11:30 PM - 5:30 AM is considered after hours and there is a SURCHARGE OF $10. $20 between hours 1:00 AM and 3:30 AM. For immediate pick-ups/drop-offs between 11:30 PM to 5:30 AM is $20 more. Please book by calling during at 734-757-5930. Q: How many passenger can we transport? A: We can transport 4 passengers at a time. Q: How much notice do you need for booking? A: To get our flat rate price, please allow a minimum of twenty four hours notice. Immediate pick-ups or drop-off $20 more. For immediate pick-ups/drop-offs between 11:30 PM to 5:30 AM is $20 more. During holiday travelings, 24 hours notice is required otherwise $10 more. Prices vary based on your location. Q: Do you charge for waiting? A: If driver has to wait more then 10 minutes from pick-up time, it is $0.30/ minute. Q: Is there a fee for extra stops? A: Yes. For every stop driver has to make it is $10. Q: Is there a fee for cancellation? A: If canceled 4 hours in advance there is no fee, otherwise you will be charged for the full amount. Q: What is your normal waiting period? A: For immediate pick-ups we dispatch the driver right away. Immediate pick-ups $10 more. For reserved pick-ups the driver will arrive typically 5-10 minutes before pick-up time. Q: Do you pick-up and drop off at the airport? A: Yes, we can pick up and drop you off at the airport. For arrival just provide us with your name, phone number, airline name, flight number and estimated time of arrival and we will be at the baggage area waiting for you. Q: Where do I get Picked up at the Detroit Metro Airport? A: Our driver(s) will park the vehicle(s) in the 'Prearranged Transportation' area and meet you in person at baggage claim. The driver will have a sign with your name. Parking is $10 and goes to airport authority. We cannot meet you at curbside because it is illegal and we will get a ticket from airport police and lose the privilege to pick-up from airport. Q: Can I pay on your website? A. Yes. After you received a quote from us, just click on the 'Payments' tab, and pay through PayPal or any major Credit Card. A: Yes, we accept payments over the phone. For any other questions, please provide the information below or text us at 734-757-5930.